StockholmExpat.com | Page 4 of 228 | I believe in the power of positive thinking. While there is no panic, no need for a mad rush, it is never too early to think about your US expat tax returns. With that in mind I’ll run a series of articles about taxes and expats written by the experts at Taxes for Expats (*disclosure: I’ll earn a modest commission should you use their services through my link, tack!). Here’s the link to the first, and second articles. As the saying goes, children are our future. Uncle Sam knows this, and he also knows how expensive it is to raise children. Taxpayers with children and other dependents have always received rather significant tax benefits to aid with the expenses associated with those dependents. The tax reform bill makes several changes that, depending on the specific situation, may either increase or decrease a person’s tax bill. One of the few changes that will negatively impact taxpayers (although for many people, it will be more than offset by other changes) is the elimination of the personal exemption. This means that starting in the 2018 tax year, taxpayers can no longer claim the personal exemption deduction for themselves, their spouse, or their dependents. For parents, there is some very good news in the Tax Cuts and Jobs Act. The child tax credit has been increased up to $2,000 for each qualifying child under the age of 17. For lower income taxpayers, as much as $1,400 of that amount is refundable. Many middle class taxpayers found that this substantial tax benefit was phased out for them. To remedy this, the tax reform bill increased the income level where the tax credit starts to be phased out to $400,000 (married filing joint) or $200,000 (single filers). This means more taxpayers who have dependent children can claim this tax credit, and those who do claim it can claim more. The new rule for children whose birthday falls on Jan. 1. They are treated as if their birthday was on Dec. 31 of the prior year. Thus, a child born on Jan. 1, 2000 turns age 18 on Jan. 1, 2018 but is treated under this tax provision as if they are 18 on Dec. 31, 2017 (no longer eligible for child tax credit). Another change for 2018 and beyond is the requirement for children to have a Social Security Number if the child tax credit is claimed. The Social Security Number must have been issued prior to the tax return due date (including any extensions). Even if the child has an ITIN (Individual Taxpayer Identification Number), but not a Social Security Number, they cannot be claimed on the tax return. For children who have become permanent residents or US citizens, but “Not valid for employment” is still printed on their Social Security card, their parents should contact the Social Security Administration to get a new card that does not have those words printed on it. Although children without Social Security Numbers cannot qualify for the Child Tax Credit, they could still qualify for the new Credit for Other Dependents. They must have an ITIN that was issued prior to the tax return due date (including any extensions). Taxpayer dependents and spouses living outside the US, and who use ITINs, are encouraged to visit irs.gov/ITIN to review requirements for renewing their ITIN prior to filing their taxes. This is not required in every case. Another positive is the addition of a Credit for Other Dependents. This credit is as much as $500 for qualifying dependents, including older relatives, not claimed under the regular child tax credit. As with the child tax credit, this phases out at $200,000 ($400,000 if filing jointly). The addition of this credit provides some tax relief that was previously unavailable for children age 17 and older, college students, children who do not have ITINs, or other older relatives living in the household. Beginning with the 2018 tax year, the child’s unearned income is no longer added to the parent’s taxable income for the incremental tax liability, which was then taxed at the parents’ marginal rate. This may be favorable for the parents who have separate investments for more than one child yet not as good when all investments are in one child name. The “kiddie tax” tax on each child’s net unearned income will be calculated from now on using tax brackets applicable to trusts and estates. The tax bracket can easily exceed the parents’ tax rate (i.e. 37% on interest income over $12,500 or 20% for long-term capital gains and qualified dividends over $12,700). Beginning with the 2018 tax year, limits on ABLE account (Achieving a Better Life Experience) contributions have been increased, and some funds may be transferred from 529 tuition plans to ABLE accounts. More information on 529 plans and rollovers can be found in Internal Revenue Service guidance. Also starting in 2018, a Saver’s Credit may be claimed for ABLE contributions if the taxpayer is the beneficiary of the ABLE account. More information on the Saver’s Credit can be found on the IRS website. For people with disabilities, the Tax Cuts and Jobs Act allows those who are eligible to contribute more to their Achieving a Better Life Experience account, and for many people, to claim the Saver’s Credit as well. Those with disabilities can also make rollovers from 529 plans to their ABLE accounts. 529 plan distributions are no longer limited to higher education. Up to $10,000 in distributions from 529 plans can be used annually for each beneficiary’s tuition at a private or religious K-12 school. Go to Taxes For Expats * today, a woman owned business, for help with your tax return for a flat fee. Swedish Prime Minister Stefan Lofven reelected for second term. 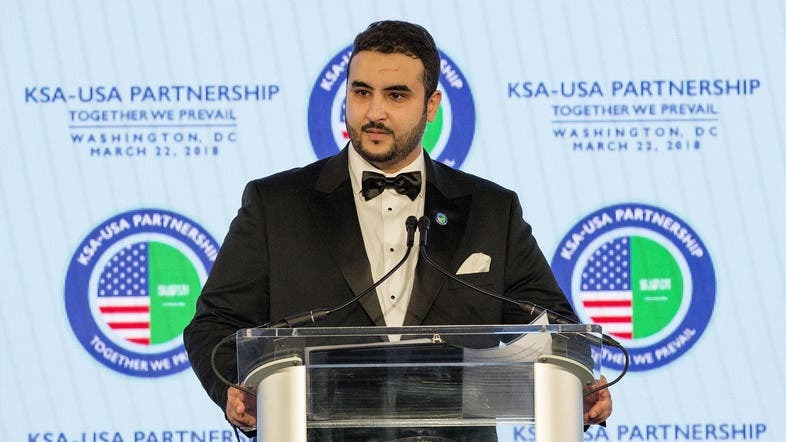 Prince Khalid: Stockholm Agreement between Yemeni parties being violated. Man dead after train collides with car in southern Sweden. With that in mind I’ll run a series of articles about taxes and expats written by the experts at Taxes for Expats (*disclosure: I’ll earn a modest commission should you use their services through my link, tack!). Here’s the link to the first article. Each year, the IRS shuts down e-filing in mid-November to update their systems, and in the ‘offseason’ between Thanksgiving and the New Year updates tax forms. Generally, these changes are cosmetic. With the passing of the recent tax reform, that is no longer the case. The ‘what’s new’ section of the Form 5471 instructions are almost as long as the actual form (1548 words versus 2226 words) and, even to the stodgiest of accountants, not exactly a ‘page turner’. Certainly, changes were anticipated, but in many ways, Form 5471 is simply a brand new form, and the end result is increased compliance costs for owners of foreign corporations, and especially CFCs (controlled foreign corporations). Nitty Gritty – What’s new? If you’ve ever seen the movie ‘Just Friends’, the new 5471 is Ryan Reynolds after moving to Los Angeles; completely made over and hardly recognizable. New schedules were added, old schedules expanded, and schedules previously included in form 5471 are now separated. Don’t forget the new GILTI Tax – an annual tax levied on owners of Controlled Foreign Corporations (CFC) that must be paid to the IRS every year, regardless of whether he has other taxable income or not. With the new form 5471, the scope of entities subject to GILTI and the mandatory Transition Tax has been expanded. Under prior law, a US shareholder would be required to pay Transition Tax only if that foreign corporation was a CFC for at least 30 consecutive days during its tax year. Under the new rules, the foreign company may be subject to Transition Tax and GILTI inclusion if it was a CFC for at least one day during the tax year. Section 965 Transition Tax, the Tax Reform addition to the IRS Code, was due in 2018 year for the owners of a CFC with a foreign accounting period ending after November 2, 2017. A CFC with a corporate tax year ending earlier than Nov 2, 2017 will pay transition tax in 2019 with their 2018 tax return. Thus, an owner of UK CFC with an accounting period ending on March 31, 2017, will pay transition tax based on the corporate accounting period ending on March 31, 2018, with their 2018 U.S. tax return. With that in mind I’ll run a series or articles about taxes and expats written by the experts at Taxes for Expats (*disclosure: I’ll earn a modest commission should you use their services through my link, tack!). There are a handful of states without an income tax, and a couple of others that only tax dividends and interest. Of course, these states must still fund government programs, so they raise the money using fees, property taxes, sales taxes, and various other sources of income. Depending on the details of your individual situation, it may be worth considering a move to one of these states to help stretch your retirement dollars. The details below are based on data from the states and 2018 data from the Tax Foundation. The Tax Foundation data accounts for per-capita local and state taxes. Assuming your only consideration is money, Alaska takes first place as the clear winner. But, if the remote nature of the state and the harsh winters bother you, look further down the list for other options. Tax Foundation data shows the average local and state tax per capita came in at $7,555, which is 18th lowest among all the states. In addition, senior citizens are given a property tax exemption on $150,000 of property value. Alaska funds the government using gas and oil royalties. Along with low taxes, full-year Alaskan residents get an annual payment from Alaska’s Permanent Fund that distributes dividends based on these royalties. This fund has distributed $1,100 annually, on average, over the previous five years. As Alaskan production has dropped, so have the royalties, but that is still a significant amount of money for just living in Alaska. If this average royalty is subtracted from average tax paid, the result is $2,200 per capita, making it the lowest tax bill in the nation. When you think of a state for retirees, Florida often tops the list. While weather is a significant factor, so too is the fact that Florida repealed the income tax in 1855. Florida generates funds using property taxes and sales tax (6%). The 2017 per-capita average tax paid came in at $3,322, placing Florida in 24th place among the states. The main draw to Nevada has been gambling, but the tourism industry is growing with an increase in conventions, shows, retail, and nightclubs. With no corporate or individual income taxes, both residents and businesses are drawn to the state. But, Nevada does have a unique business tax of 1.17% of wages paid. Like many tourist states, Nevada generates revenue through sales taxes, which account for 72% of state revenue. Nevada ranks 15th lowest for local and state tax paid per-capita at $3,221. This state’s economy relies heavily on tourism and farming. The state boasts Wall Drug, many national parks, the Sturgis Motorcycle Rally, and historic Deadwood. The state is funded using sales tax (4%) and use taxes. These taxes accounted for 71% of revenue in 2013. Perhaps because of the motorcycle rally, the state’s second-largest source of income is fuel tax. South Dakota ranked 7th lowest of the states for taxes paid, at $3,052. The state of Texas is funded through several sources – sales tax (6.25%), motor vehicle taxes, tax on fuel, and royalties and taxes on gas and oil production. There is not an income tax on corporations. In 2011, Texas ranked the 8th lowest for taxes at $3,088 per-capita. The state of Washington has a somewhat unique system of taxes. Although there is no income tax, several other taxes add up. There is a sales tax of 6.5%, which doesn’t sound too bad, but local sales taxes added on top of this can raise the rate to 9.5% for some areas. Although there is not an income tax on corporations, there is a tax on the gross receipts of a business. This means that regardless of profitability, companies owe tax. This all sums up to make Washington 12th highest for taxes, at $4,366. Sales tax in Wyoming is a mere 4%, but the rate for property taxes comes in at 9.5%. These taxes, along with taxes on natural resources, fund the state. Per-capita tax paid in 2011 came in at $3,500 – giving Wyoming a rank of 22nd lowest. Tennessee does not tax wage and salary income, but there is a tax on dividends and interest of 6%. For retirees living off of dividend and interest income, this could make Tennessee a bad choice for retirement. In addition to this tax, there is a sales tax of 7%. The issue of income taxes has been a hotly debated topic in Tennessee for quite some time. The state’s constitution does not specifically mention income tax, so whether the state is allowed to impose income tax is open to debate. Although dividend and interest taxes could be a deal breaker, the average tax paid in 2011 was only $2,777 – the 2nd lowest of the states. Similarly to Tennessee, New Hampshire does not tax earned income, although there is a tax of 5% on dividends and interest. There is no sales tax, although a corporate tax of 8.5% and significant property taxes add up. New Hampshire ranks 22nd highest at $3,769 per capita. There is more to the issue than just income taxes, but when making a decision about where to retire it is a good place to start. If you reside abroad and need to receive mail in the US, look into a virtual mailbox.